The New England Patriots promote responsible drinking and positive fan behavior at Gillette Stadium. The Patriots Fan Code of Conduct and the details of the Patriots alcohol management plan that appear below ensure that fans have a safe and fun experience. 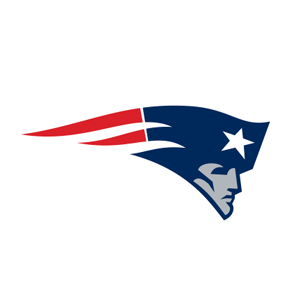 As always, the New England Patriots and Gillette Stadium remain committed to creating a safe, comfortable, and enjoyable experience for fans of all ages, both in the stadium and in the parking lots. The New England Patriots and Gillette Stadium officials are proud to support a league-wide initiative by the National Football League to promote fan code of conduct initiatives designed to enhance the experiences for all football fans throughout the NFL. All ticket holders are responsible for their conduct as well as the conduct of their guests or any other people they allow to use their seats. Event patrons and guests who violate these provisions will be subject to ejection without refund and potential loss of ticket privileges for future games. The New England Patriots, Gillette Stadium and the NFL thank you for adhering to our fan code of conduct. Fans can send a text or call to report Fan Code of Conduct violations. There are 11 locations where Patriots fans can Be a HERO, Be a Designated Driver at Gillette Stadium. Fans can pledge to stay sober and ensure a safe ride home for their friends and family at booths just inside the three main gates, 4 guest services locations on the 100 and 300 levels of the stadium, and at the 4 concierge stands on the club level. Fans who pledge to be designated drivers receive a complimentary soft drink, a “Be a HERO” wristband, a 10% discount at the Patriots on-line Pro Shop and a chance to be selected as the Designated Driver for the Game. Each week, the Designated Driver for the Game and 3 guests will be awarded with a pregame visit to the field at the next home game. And at the end of the season, one fan, the Patriots Designated Driver for the Season, will be the Honorary Team Captain and join the Patriots captains for the coin toss on the 50-yard-line to start the final home game of the season. Four additional winners will receive an autographed Patriots helmet. At Gillette Stadium this season, there is no doubt that Responsibility Has Its Rewards.